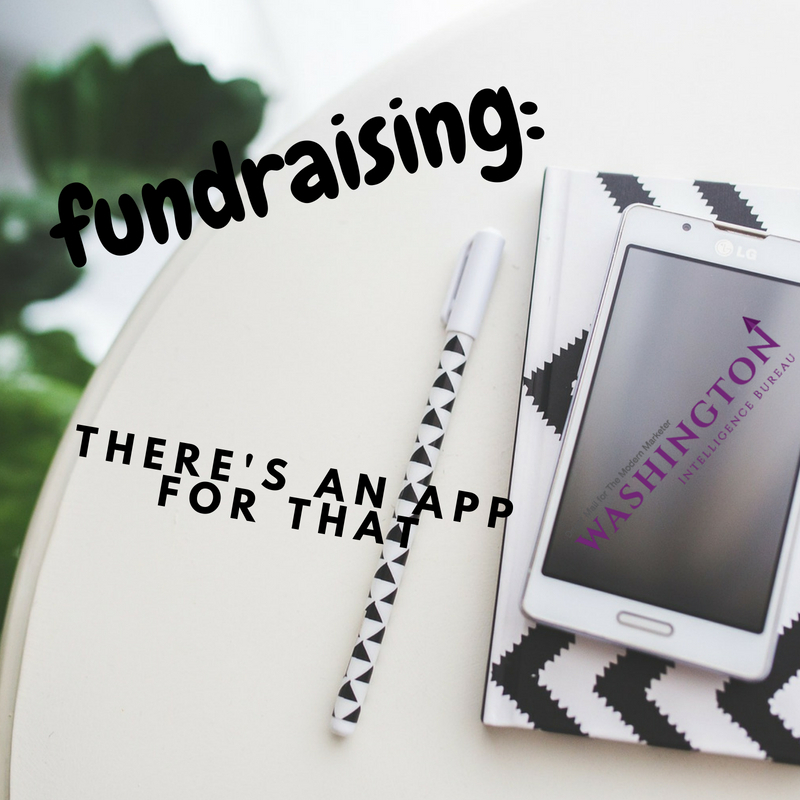 Fundraising – There’s an App for That! It seems that these days there is an app for just about everything so it should come as no surprise that there are a plethora of apps available to aid non-profit organizations in encouraging donors to give more. There are even a number of apps that allow donors to contribute funds to their charity of choice without spending a penny of their own money. In this blog post, we’ll take a look at several mobile apps that play a dominant role in successful fundraising campaigns. Google One Today – A single dollar donated can have a great impact. Donors can donate a dollar or more to the registered US non-profit of their choice with this app. Powered by Google, this platform doesn’t collect transaction fees, so 100% of the donation is sent to the intended non-profit. Privacy is another benefit that comes with the use of this app. Some donors may wish to not share their private information with the organization they are supporting for one reason or another. By donating via One Today, their information is not shared at all. Donations are completely tax deductible as well. Non-profits organizations can easily share this app with their users via their social media, newsletters and even have a link to the app from their own website to encourage potential donors to contribute to their cause. The Google One Today app is free to download on Google Play as well as in the Apple App Store. Donate a Photo – Just about everyone has a smartphone…and use it multiple times a day to snap a photo. Thanks to Johnson & Johnson, those photos can help raise funds for the photographer’s cause of choice. It takes just 3 simple steps after downloading the app to positively impact a cause financially. First, the user selects a cause from a list of curated non-profits. Next, they snap a photo of whatever they so choose – a selfie, a pet, a landscape, you get the idea. Lastly, they share it via the app and Johnson & Johnson donates $1. Currently Johnson & Johnson has causes in 8 categories, including Environmental, education and women’s health, to choose from. Since launching the program in 2013, more than 185 causes have been helped. Non-profits not on their list can reach out via the app to get additional information about being added to their list. Both Google Play and the Apple App Store have the Donate a Photo app available as a free download. Give 2 Charity – Earn money for your favorite cause simply by going about your day? Yes, please! When a user downloads this free app and agrees to let it run in the background of their smartphone, they earn points. Users can then turn those points into cash donations to their favorite cause. This program does track your location but does respect your privacy. Though the user’s data is collected it is limited to aggregates of multiple users. Give 2 Charity launched in 2012. Since, they have directed funds from users to charitable organizations including Make-a-Wish Foundation, American Cancer Society and Habitat Against Humanity among others. While smaller non-profits don’t reap benefits from this program, they can champion the larger organizations representing the same cause. Woof Trax – Dog Powered Fundraising! Thanks to this free app, users can support their favorite animal organization simply by taking their dog for the walk. The more frequently you walk, the greater the donation you can earn for your favorite shelter or rescue. No dog? No problem! You can still download the app and take it with you on your solo walks. Iphone users can even earn without stepping foot outdoors! Points can be earned while riding your stationary bike or getting your steps in on the treadmill! Since its inception, more than 10 million walks have been taken to benefit 7000 shelters in ALL 50 states! This app creates a fundraising platform for shelters and rescues of any size all while encouraging dogs and their humans to exercise on a regular basis. Users can find Woof Trax on both Google Play and in the Apple App Store. Tinbox – In just 20 seconds with the click of a button, users can make the world a better place. And the best part? This program allows users to direct corporate funds to projects having a direct impact on their local community. Unlike most fundraising campaigns, contributions are made directly to a specific project and not the charity as a whole. Using Tinbox allows non-profits to leverage their following to raise corporate dollars. Since March of 2016, users have been and continue to be able to download this free app from both the Google Place and Apple App Store. Has your non-profit embraced the use of technology for raising funds? We’d love to hear what apps you have tried and had success with!